Wei Wei is a sophmore in college, known for both her beauty and brains. In her spare time she is also an avid gamer, having achieved high levels in an online platform. There she meets another high-level gamer, Xiao Nai, who actually turns out to be a senior in the same college, also in the computer science department. These two get married inside the game after Wei Wei gets unceremoniously dumped, but will their onscreen romance be able to carry into real life? Will sparks fly or fizzle? There really isn’t much to say about this drama because it is so completely straight forward. 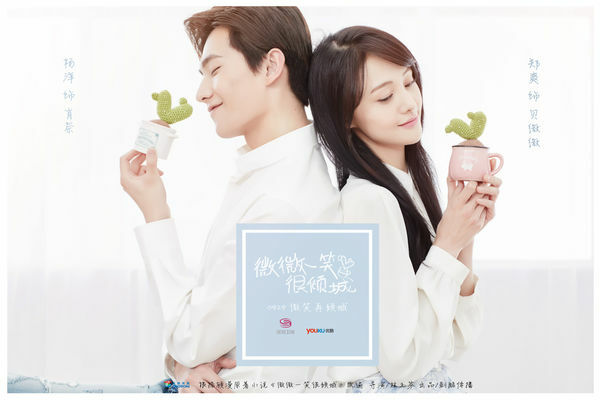 Like all of Gu Man’s productions, Love O2O is also very bubbly, filled with adorably cheesy lines that make you squirm with pleasure. Although it pales a bit in comparison to Boss & Me and You Are My Sunshine, it brings to view a different element that hasn’t been explored before. Online gaming has become quite the dating phenomenon in recent years, and though I can’t comment on how realistic the gaming component is in this drama, it is interesting to see the interactions between characters take place inside a virtual world (and our OTP doesn’t even meet in real life until series midpoint!) Despite this particular complication, this drama is still able to capture that budding romance and the little moments of tenderness without making it awkward or just sraight up weird. I guess it helps that production didn’t cheap out on the design factor and the graphics looks on point – this is coming from a non-RPG gamer though. In any case, if you have read the book or seen any of the aforementioned series you would know this drama would have little to offer in terms of drama. Yes, you read that right, there is no blood boiling (or spilling) scenes where that meddling third-wheeler tries to destroy the happiness of our OTP. Everyone remotely “bad” turns out to just be misguided little innocent sheep. And in this magical world all of our broken friendships can be salvaged by a Spongebob cake (or a chocolate cake rather). Riiiight. It’s not necessarily disappointing though. After watching one too many series with annoying subplots I can take a break from evildoers and just believe the world is beautiful. Thirty episodes went by just like that for me (possibly also because I was on vacation and had all the time in the world). I spent basically one entire week watching a couple of episodes here and there, and before I knew it I completed the whole thing. Could they have shortened it? Probably, because there are plenty of scenes that felt “extra” if you know what I mean. Do I really care to know how her roommate takes care of a cat or what is going on in the lives of our very secondary characters? Not particularly. In a way I guess all these scenes make this world a bit more complete though some of the draggy story line of the second leads is annoying as heck because they are just drowning in their own stupidity. What’s for sure though is the fact that Zheng Shuan isn’t going to win any drama awards for this one, but it will certainly push her up the popularity ladder some more. It’s not her first rodeo, but I feel like Zheng Shuan couldn’t let herself go and her kiss scenes with Yang Yang are just super uncomfortable. It’s like he is forcing himself on her while she remains completely dispassionate. C’mon girl! Get yourself in the game yo! Would casting a different actress bump this drama up a level? Probably not. Given the story line I don’t think it has the potential to go down in history as a classic, but that doesn’t mean it isn’t worth a go. All in all the question comes down to should you watch it? I would say give it a chance. You might not remember anything in a week, but you will fall in love with its simplicity. 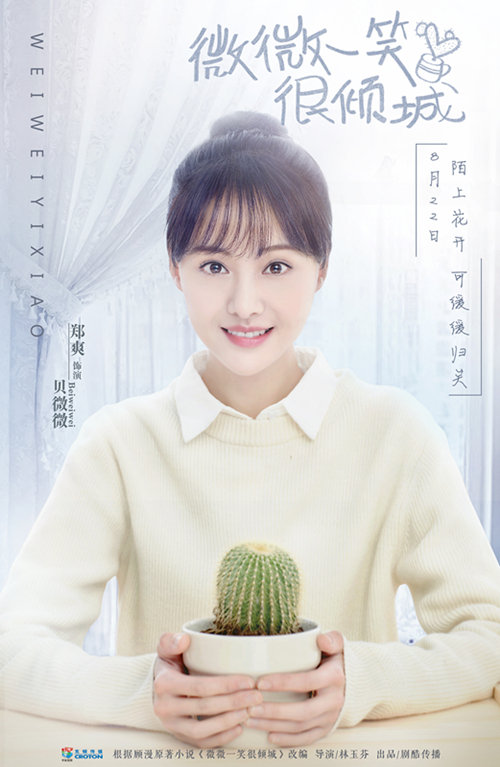 While at Beijing Film Academy, Zheng Shuan starred in With the View of a Meteor Shower opposite her now ex-boyfriend Zhang Han. She has since starred in multiple films and dramas, including Chronicle of Life and The Cage of Love both with Hawick Lau. She also dated Tiger Hu, a singer, from mid-2015 to early 2016. In 2014 she opened Xiao Dan Ke (little egg shell), a fried chicken place, and in 2015 she invested in a Thai restaurant along with some other celebrities. Yang Yang is a dancer by trade and graduated from the People’s Liberation Army Arts College (he has pictures of him in uniform!). He got his start by starring in a remake of the The Dream of Red Mansions, playing the all important Jia Bao Yu. He also starred in 2014 film The Left Ear, the mishap The Lost Tomb and more recently Tornado Girl. He will be in another drama summer 2017, San Sheng San Shi Shi Li Hua opposite Liu Yi Fei. Bai Yu graduated from The Central Academy of Drama and has been in various dramas, such as Grow Up and Above the Clouds. 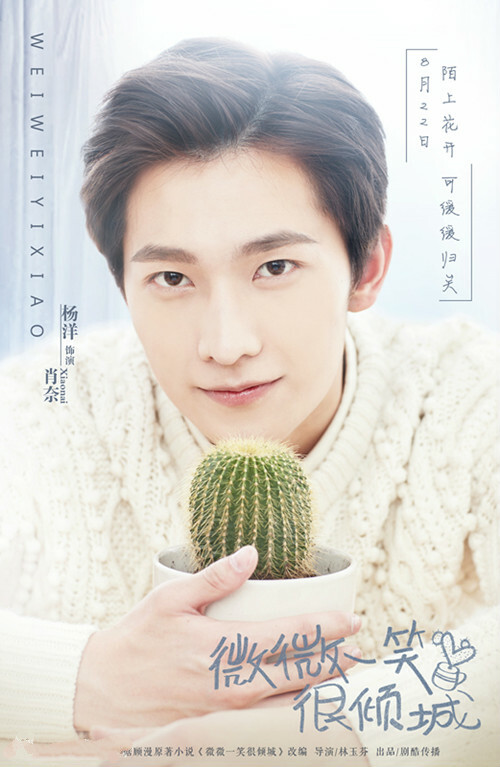 He plays Wei Wei’s online ex-husband, Zhen Shui Wu Xiang, in the movie adaption of this drama. Niu Jun Feng has been in the entertainment industry since he was 10. He started studying Beijing Opera when he was 7 and entered the elementary school affiliated with the National Academy of Chinese Theatre Arts, where he also went to college. Does he seem familiar to you? He played the role of Xiao Man in Battle of Changsha! He will be in historical time-travel drama Agent Princess with Zhao Li Ying and Lin Geng Xing among other big names; the series is due out in summer 2017. Zhen Ye Cheng is another graduate of National Academy of Chinese Theatre Arts where he also studied Beijing Opera. His parents had wanted him to learn dance and wushu, but he gave that up when he got injured and fell in love with opera. While in school he partook some on-stage opera performances and only changed into acting after gaining fame for his role in 2013 drama The Cosplayers. Cui Han was most recently in drama Unmissable. 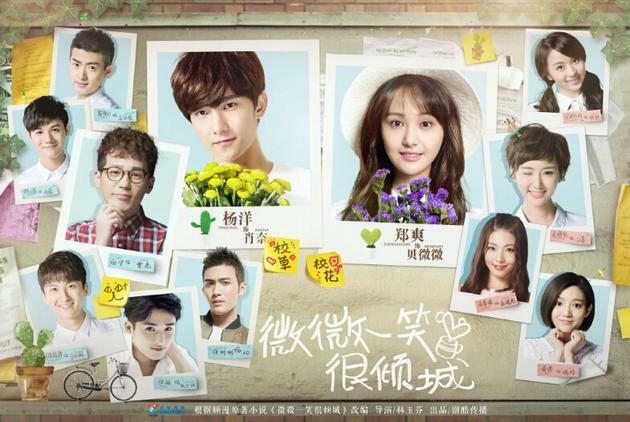 He plays the main character in 2016 comedy Xian Zhu Shou Ai De Hua. I loved this drama till the end. Has to be my fav drama of 2016. Amazing review! It’s runner up for my favorite in 2016! The reason I love this drama is plainly the simplicity and drama-free plot. There’s been so much dramas with too much of them that I’ve been waiting for another complication-free drama besides Boss & Me. Therefore, this is now one of my all time favorite dramas. Even as I’m typing this, the show is running on my television and it’s been there for the last two weeks. lol. Have you seen You Are My Sunshine yet? Though not as simple as Love O2O and Boss & Me, but its by the same author. I thought it was really well done! Haha. Yes i did. Watched it as it was aired.its one of my favorite. Yes, it was very well done and the leads were excellent. Hahaha! I also felt she was a bit of a miscast, but oh well! 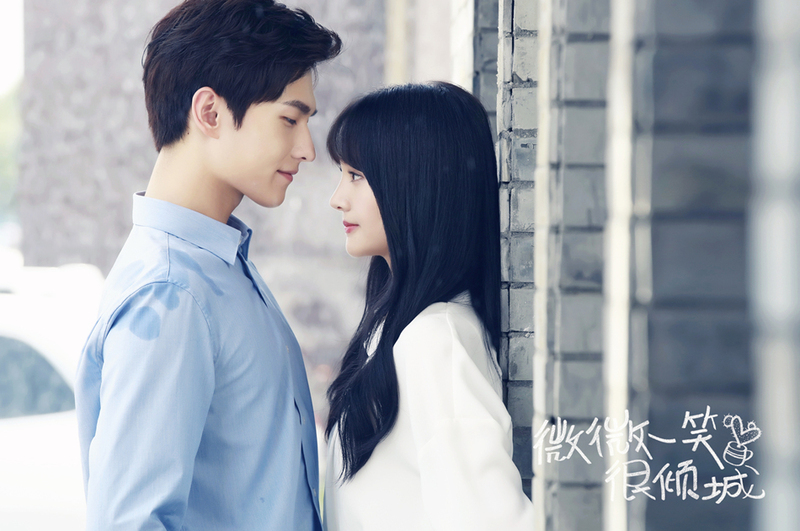 I would love both Boss & Me and love O2O. But if you would one for rewatching, I would take Boss & Me.